1) Jeff Pearce (American artist) Jeff Pearce is a leader in the art of looping: using looping devices to create layers of sound from a single instrument, normally an electric guitar. Jeff used to demonstrate effects and guitars in a music store, and decided to try his hand at compositions with early such devices. In college he encountered the work of medieval polyphonic composer Hildegard von Bingen, and decided to imitate this on guitar. Jeff is now well known for his style with the Chapman Stick, building rich textured atmospheres that combine melody and mystery in a meditative, contemplative and exploratory setting. He is known as both a CD artist and performer, playing in acoustically rich settings such as churches, concert halls, planetaria and dance clubs. 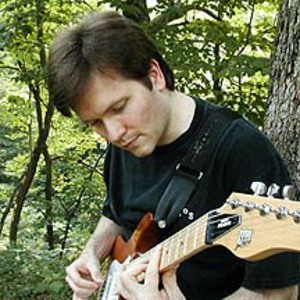 His website is at http://www.jeffpearcemusic.com . Jeff Pearce (born 1967) is a Canadian musician. He is best known as the bassist of the '90s group Moist, and as the singer/guitarist of the group Rye.